MRC® has been a name synonymous with quality products and successful hobbyists. 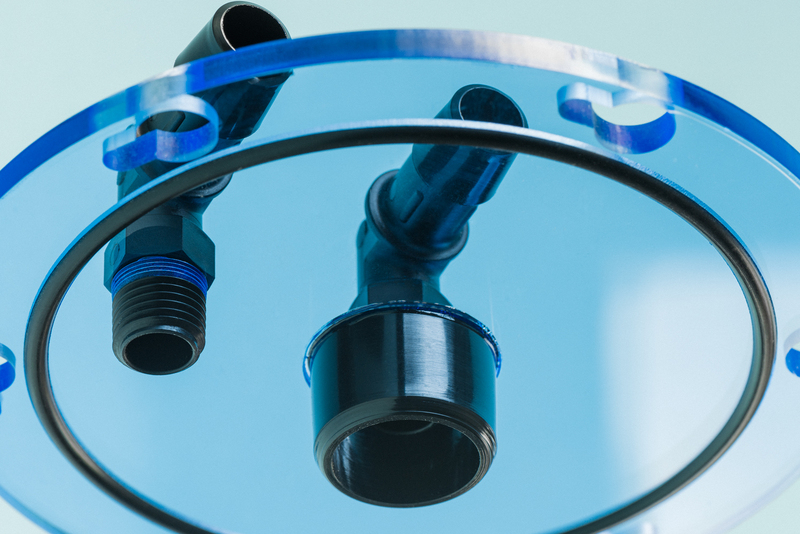 Not only are we keeping this tradition very alive, we are expanding upon it.The MRC® x3 utilizes True Reverse Flow™ to achieve maximum efficiency with minimal effort. This technology creates even dispersion through all types of media. Stand alone or bracket mounted the unit is as versatile as it is robust. The xSeries™ line introduces world class MRC® quality more affordable than ever. Installation has never been easier. Fill with your preferred media, connect a feed pump or use our ECO 132 pump, and you’re done. Between 1430ml & 2740ml the xSeries™ Reactors are ready for just about any media you could possible throw at them. All xSeries™ Media Reactors go through a rigorous check list to insure our strict tolerances are met. We like things to be right and right the first time around. We’re a bit obsessive at MRC®. 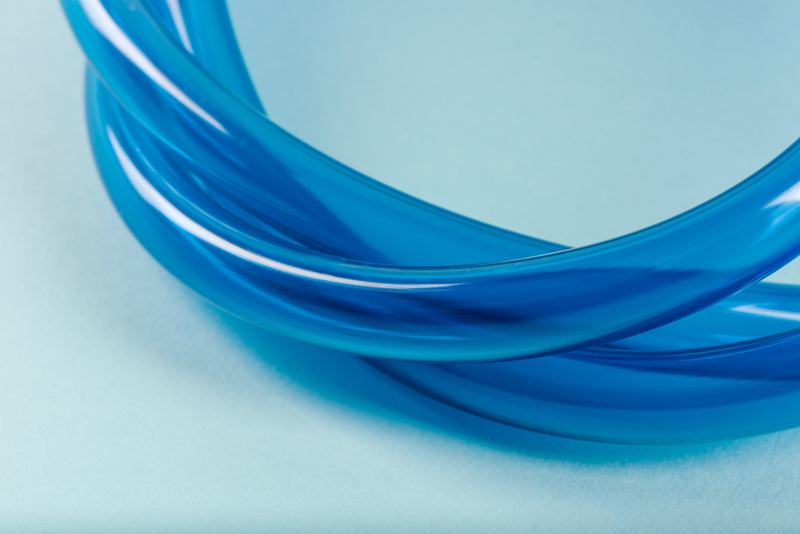 We not only color matched our tubing, but it’s also food grade, and 100% American made like all of our products. Let us make that easier for you. You spend enough time managing your already busy life, your aquarium should add to the enjoyment, not be another task in your week. Efficient and properly operating equipment ensures this. Start spending more time observing and less time working; we can do that for you. Sometimes it takes thinking outside the box to know what should come in one. We’re hobbyists too and know you expect a working product from the factory. 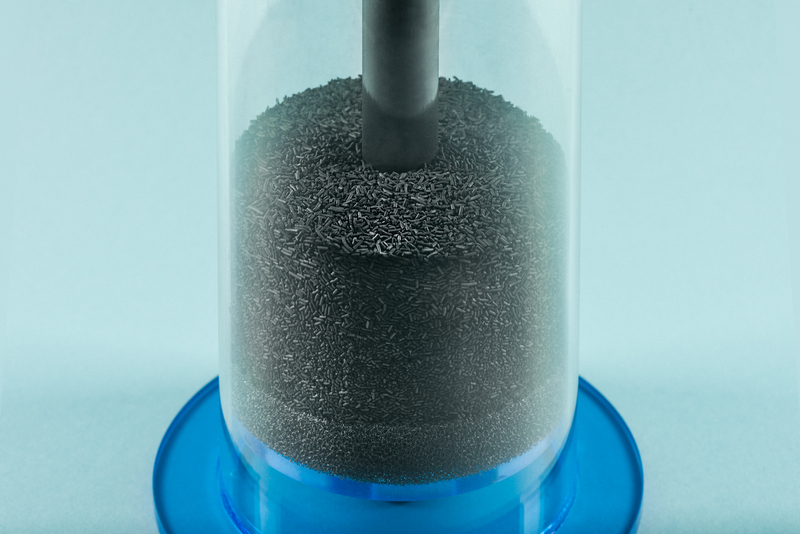 See what “custom” options are the standard in the MRC® xSeries™ Reactors. Limited on sump space? 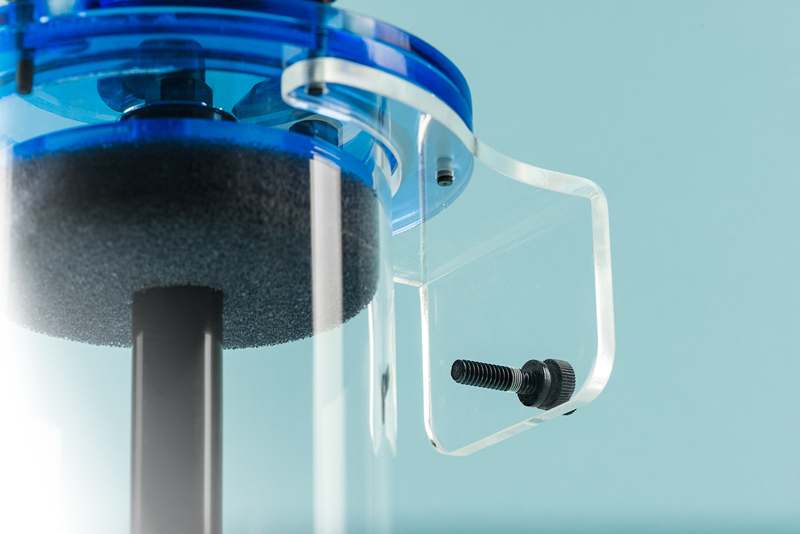 Mount your xSeries™ x3 reactor with the supplied mounting bracket to the side of you sump, aquarium, or anything else with a suitable edge. Water flows through the reactor from the bottom, creating a gentle tumble, that suspends the media for maximum contact. No need for a run to the hardware store for additional and necessary equipment. All of our xSeries™ Reactors are shipped with everything you need all the way down to teflon tape. 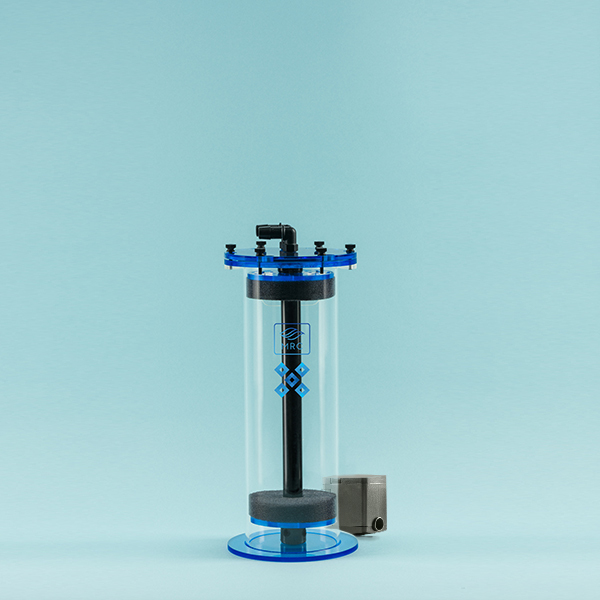 Our x3 ECO Kit comes with 4′ of food grade tubing to give you the perfect amount of leeway for a comfortable install in any of our xSeries™ Sumps. The MRC® x3 utilizes True Reverse Flow™ to achieve maximum efficiency with minimal effort. This technology creates even dispersion through all types of media. Stand alone or bracket mounted the unit is as versatile as it is robust. The xSeries™ line introduces world class MRC® quality more affordable than ever. 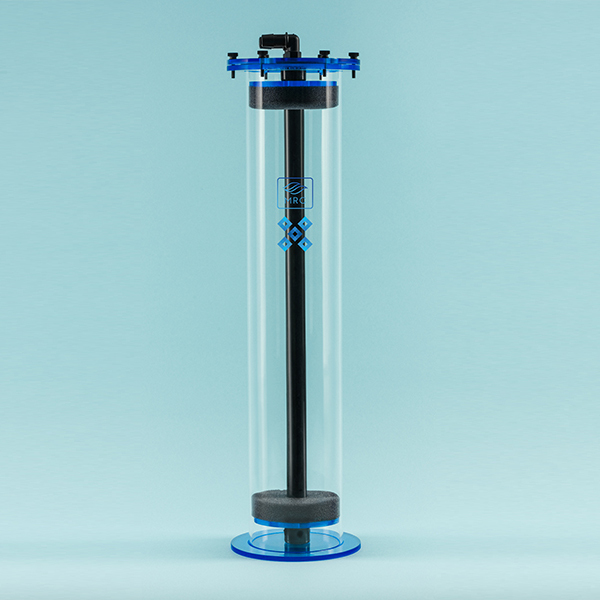 The MRC® x3 Eco Kit utilizes the same True Reverse Flow™ technology as the standard x3 but includes an energy efficient DC pump and 2ft of MRC® Blue Tubing. Stand alone or bracket mounted the unit is as versatile as it is robust. The xSeries™ line introduces world class MRC® quality more affordable than ever. The MRC® x5 utilizes True Reverse Flow™ to achieve maximum efficiency with minimal effort. This technology creates even dispersion through all types of media. WIth even more capacity the x5 is ready for the toughest The xSeries™ line introduces world class MRC® quality more affordable than ever. 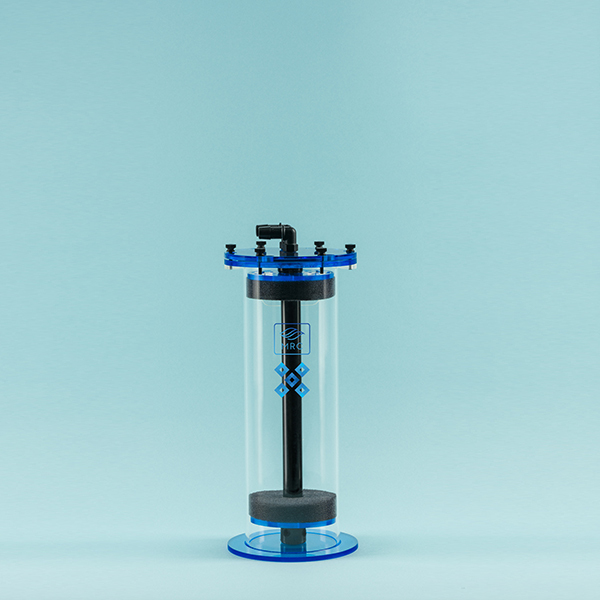 Purchase your xSeries™ Reactor from an authorized MRC® retailer today!